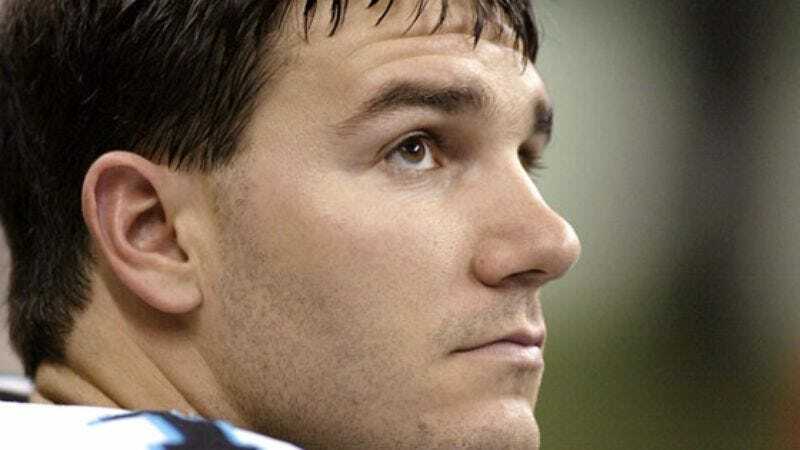 CHARLOTTE, NC—Claiming that he felt "rushed," Panthers quarterback Jake Delhomme failed to connect on a 5-foot pass to his Capital Grille restaurant valet Sunday, instead sending his car keys into the hands of the wrong parking attendant. "It's frustrating, because I knew as soon as I let go of the keys that the throw was off target," said Delhomme, adding that he should not have been throwing off his back foot. "I don't want to make excuses, but I may have injured my throwing hand on the sharp edge of a key while I was in the pocket. Hopefully, I can watch film from the valet's security camera and correct that next time." Once inside the restaurant, Delhomme fumbled a steaming hot dinner roll, kicked it across the dining room while trying to pick it up, and was blocked into a side table by a busboy, who eventually recovered the baked good.